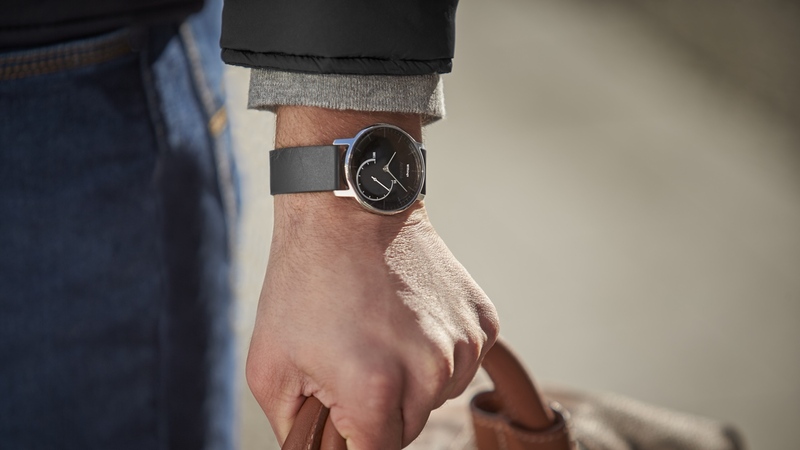 The Withings Activité Steel has now officially been announced. The £139.95 wearable, which we first told you about in early November, is the latest addition to the line up of Activité analogue fitness trackers, with this new premium-looking model. The Withings Activité Steel is, like its predecessors, compatible with both iPhone and Android and will be available from 19 November from the Withings website in classic black. The company last updated the range at CES back in January, when it added the cheaper £119 Withings Activité Pop alongside the original £320 version. The Activité Steel, which is priced just above the Pop, is made of stainless steel and boasts a premium build quality with chrome hands and a silicone strap. "Taking feedback from our users, we made it more premium, at a more affordable price," Cédric Hutchings, CEO of Withings, told Wareable at WebSummit in Dublin. The tracking aspects are much the same as the existing Activité range, with auto detection for running and swimming as well as sleep monitoring. But there has also been a design change for the latest device. The tracker element of the watch face has been substantially enlarged and the hands darkened, so your goal progress dominates what you see when you glance at your wrist. As for the rest of the specs, the battery life of the Activité is an impressive (up to) eight months and the device is water resistant to 50 metres. Withings has been conspicuous by its absence for much this year, but Hutchings also took to the stage in Dublin to announce a new partnership with MyFitnessPal. A joint study between the two companies has revealed that people who track their calories and weight are 7 times more likely to shift pounds from their waistline. With Withings' connected scales and MyFitnessPal's food tracking app, it won't come as a surprise that the two are teaming up. This enables users to track meals through the Health Mate app and the two apps will share data. If you log exercise in Withings Health Mate your calorie budgets will allow for it in MyFitnessPal, for example. The new features will be added to the Health Mate app in the coming weeks.